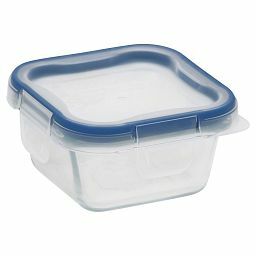 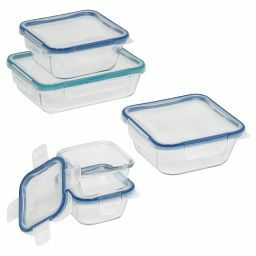 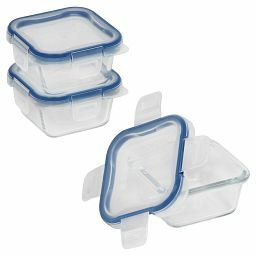 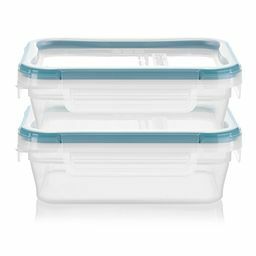 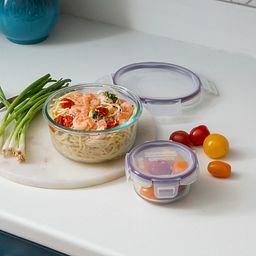 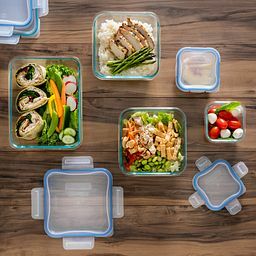 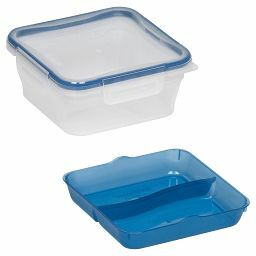 Good food is good to go—to office, freezer, fridge or cupboard—thanks to these lock-in-place lids and durable Pyrex® glass containers. 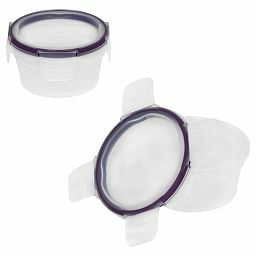 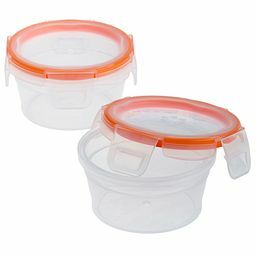 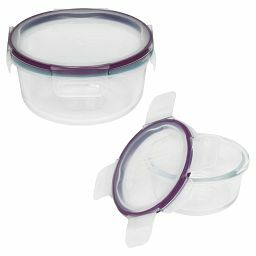 The colorful plastic lids in this 19-piece Snapware set seal out air and prevent leaks. 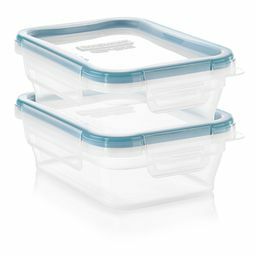 Just fill, label, stack, and then nest to store compactly till you need them again.